For three cycles, presidential candidates have chosen to share their views here, as the Democratic and Republican candidates did in 2008 and 2012. 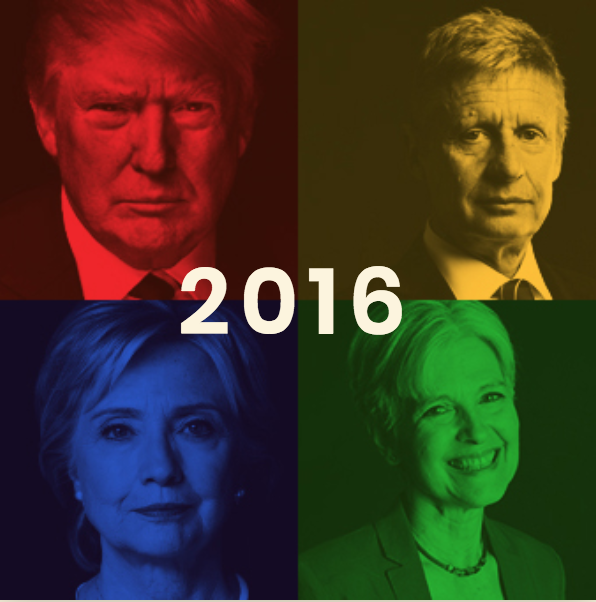 In 2016, we also invited the Green and Libertarian candidates. These issues affect voters’ lives as much as the foreign policy, economic policy, and faith and values views that candidates traditionally share with journalists on the campaign trail. They deserve a public debate and broad coverage. The responses help voters assess not only the candidates' views on science-based issues, but how they think, and the relative roles they give to evidence and ideology in their thinking. The innovation payoff comes from the commercialization of research results. The first step is what universities call “technology transfer” and the medical community calls “translation” – demonstrating the use of research results in practice and sharing the knowledge with the business community. The government has a critical role to play at this stage by opening access to and sharing government-funded research results. I will support the development of collaborative consortia that accelerate the creation of new industries while providing valuable feedback to researchers. As part of my plan to create more good-paying jobs, I will also invest in “Make it in America” partnerships that will make America the first choice for manufacturing by harnessing regional strengths, supporting manufacturers up and down the supply chain, and ensuring international competitiveness by improving industrial energy efficiency by one-third within a decade. Likewise, government has an important role to play in creating a level playing field. Innovation works best when government doesn’t pick winners and losers. Manufacturers and consumers best understand the necessary applications required, not government funding offices. Innovation happens when the prevailing narratives and paradigms are questioned - not when government imposes political priorities on the scientific, engineering, business, and hobbyist communities. Our administration will also seek real reforms in the granting process. First, we will work to reform granting agencies so that more initiative comes from ground level scientists, not the technocracy. Requests for Application, or RFAs, drive research towards wherever the money is. If alcohol addiction studies are fashionable in a given year, and the flu isn't, tough luck for epidemiologists - no matter the relative risk of each malady, and no matter how well designed the studies. RFAs skew science away from groundbreaking work and towards that which attracts the most funding. Science and academic achievement shouldn't be measured in terms of how many government dollars it secures. We also expect to reform the relationship between hiring and granting systems. Currently we incentivize universities to hire scientists and researchers who are funded via grants, because they don’t actually pay the investigator salaries. Universities have little skin in the game, and too often end up misusing resources by over-hiring and collecting the overhead from taxpayers and private grants. With regard to basic science, private companies are often willing to invest funds, and that should be encouraged - not discouraged. And when the government gets involved, the scientific discourse can be squelched. Frequently, public scientific funding has the effect of quashing private investment in certain research. Why would a private company invest in research, either basic or applied, if the government will do that for them? Presidents are able to affect long term R&D priorities by creating institutions focused on research like the National Science Foundation and the National Institutes of Health that are to some extent insulated from short-term political cycles. We will revisit these institutions--their charge, focus, and operations--to ensure that they're performing as expected. We will look for opportunities and mechanisms whereby science policy can be made more democratic, and more responsive to the preferences and needs of average citizens. -Generate half of our electricity from clean sources, with half a billion solar panels installed by the end of my first term. -Cut energy waste in American homes, schools, hospitals and offices by a third and make American manufacturing the cleanest and most efficient in the world. -Reduce American oil consumption by a third through cleaner fuels and more efficient cars, boilers, ships, and trucks. Unfortunately for policymakers - the very activities that appear to contribute to climate change also contribute to mankind’s health and prosperity, so we view with a skeptical eye any attempts to curtail economic activity. We believe that a motivated and informed market will demand efficiency and reduced greenhouse gases, mitigating at least some of mankind’s effects. It is a virtual certainty that consumer demands and the marketplace will produce tangible benefits. It is not, however, certain that unilateral regulatory approaches by the U.S. will, in fact, produce benefits that are proportionate to costs. Nor is it certain that international treaties will produce benefits as developing nations have the most at stake to continue industrialization. -Implement a Just Transition that empowers those communities and workers most impacted by climate change and the transition to a green economy. Ensure that any worker displaced by the shift away from fossil fuels will receive full income and benefits as they transition to alternative work. -Enact energy democracy based on public, community and worker ownership of our energy system. Treat energy as a human right. -End destructive energy extraction and associated infrastructure: fracking, tar sands, offshore drilling, oil trains, mountaintop removal, natural gas pipelines, and uranium mines. Halt any investment in fossil fuel infrastructure, including natural gas, and phase out all fossil fuel power plants. Phase out nuclear power and end nuclear subsidies. End all subsidies for fossil fuels and impose a greenhouse gas fee / tax to charge polluters for the damage they have created. -Support a strong enforceable global climate treaty that limits global warming to no more than 1.5 degrees Celsius and provides just financial compensation to developing countries. -Support organic and regenerative agriculture, permaculture, and sustainable forestry. -Enact stronger environmental justice laws and measures to ensure that low-income and communities of color are not disproportionately impacted. The Internet has become a foundation of economic, social, law enforcement, and military activity. What steps will you take to protect vulnerable infrastructure and institutions from cyber-attack, and to provide for national security while protecting personal privacy on electronic devices and the internet? Currently, cybersecurity is handled mostly agency-by-agency, with certain government departments and agencies being specifically tasked with overlapping mandates for cybersecurity. Homeland Security has its cybersecurity agency, the NSA has its Cybercommand. Unfortunately the latter has become more and more an offensive tool rather than a defensive tool, often used against citizens of the United States. We propose returning Cybercommand to its original purpose of remaining on the forefront of American cyber defenses. The best way to improve cybersecurity is to educate the most likely security hole in any technology - the people sitting at the keyboards. -Protect the free Internet. Oppose the Online Piracy Act and all other legislation that would undermine freedom and equality on the Internet. -Negotiate international treaty banning cyberwarfare; create a new UN agency tasked with identifying the sources of cyber-attacks. We believe that two factors will slow destruction of biodiversity: human innovation and the ecosystem’s natural adaptation. Throughout history, Mankind has destroyed habitats - cutting down cloud forests, rain forests, dry forests, and other fragile ecosystems. We depend upon their resources -- food, fiber, energy, minerals, -- for our own existence, including habitat. Fortunately, ongoing changes in food technology have allowed us to curtail our use of farmland, even as yields have skyrocketed. Likewise, Human habitats will continue to become more efficient and less intrusive, especially in developing nations. Private land ownership can improve good stewardship of the land. When the “public” protects natural resources, the economic “Tragedy of the Commons” can come into play - where individuals using common property compete to take the most resources from that property. In the end, people care for their own property more than they do those owned by “the government”. The less developed world still continues to use slash-and-burn farming and ranching techniques, another reason the Johnson Weld administration views industrial and economic development as a positive step - better farming and production means more wealth, and more wealth means populations who have both the resources and freedom to improve their own environments. Finally, to reduce man’s effect on biodiversity, we need to break down economic and cultural barriers that impede the spread of best practices and healthy development. Totalitarian governments frequently do the most damage to their land - while starving their people. Free trade, information and a robust marketplace of ideas will allow people around the globe to achieve better standards of living and the environmental protections they want, but cannot currently afford in their daily struggles to survive. -Protect our public lands, water supplies, biological diversity, parks, and pollinators. Ban neonicotinoids and other pesticides that threaten the survival of bees, butterflies, and other pollinators. -Label GMOs, and put a moratorium on new GMOs and pesticides until they are proven safe. -Protect the rights of future generations. Adopt the Precautionary Principle. When an activity poses threats of harm to human health or the environment, in the absence of objective scientific consensus that it is safe, precautionary measures should be taken. The proponent of an activity, rather than the public, should bear the burden of proof. -Invest in clean air, water, food and soil for everyone. Enact stronger environmental justice laws and measures to ensure that low-income and communities of color are not disproportionately impacted by harmful pollution and other negative environmental and health effects. -Support conversion to sustainable, nontoxic materials and the use of closed-loop, zero waste processes. This is one of the great unfolding tragedies in America today. States are reducing their commitments to mental health treatment and our jails are filled with those who need mental health care. Any mental health reforms must be included in our efforts to reform healthcare in general in the country. We must make the investment in treating our fellow citizens who suffer from severe mental illness. This includes making sure that we allow family members to be more involved in the total care of those who are severely mentally ill. We must ensure that the national government provides the support to state and local governments to bring mental health care to the people at the local level. This entire field of interest must be examined and a comprehensive solution set must be developed so that we can keep people safe. Mental illness is often related to drug abuse - both temporary and permanent. We have made the drug abuse problem worse through the drug war. By treating users as criminals instead of patients, we have driven a new population of vulnerable individuals underground. By instilling fear, the drug war prevents treatment - and decriminalization and legalization can remove enormous barriers to mental health treatment. As part of a Medicare for All universal health care system we need a mental health care system that safeguards human dignity, respects individual autonomy, and protects informed consent. In addition to full funding for mental health care, this means making it easier for the chronically mentally ill to apply for and receive Supplemental Security Income, and funding programs to increase public awareness of and sensitivity to the needs of the mentally ill and differently abled. We must ensure that the government takes all steps necessary to fully diagnose and treat the mental health conditions resulting from service in combat zones, including post-traumatic stress disorder. The next decade is not only critical to meeting the climate challenge, but offers a tremendous opportunity to ensure America becomes a 21st century clean energy superpower. -Defending, implementing, and extending smart pollution and efficiency standards, including the Clean Power Plan and standards for cars, trucks, and appliances that are already helping clean our air, save families money, and fight climate change. -Launching a $60 billion Clean Energy Challenge to partner with states, cities, and rural communities to cut carbon pollution and expand clean energy, including for low-income families. -Investing in clean energy infrastructure, innovation, manufacturing and workforce development to make the U.S. economy more competitive and create good-paying jobs and careers. -Ensuring the fossil fuel production taking place today is safe and responsible and that areas too sensitive for energy production are taken off the table. -Reforming leasing and expand clean energy production on public lands and waters tenfold within a decade. -Cutting the billions of wasteful tax subsidies oil and gas companies have enjoyed for too long and invest in clean energy. -Cutting methane emissions across the economy and put in place strong standards for reducing leaks from both new and existing sources. -Revitalizing coal communities by supporting locally driven priorities and make them an engine of U.S. economic growth in the 21st century, as they have been for generations. We believe that nuclear power generation has been underused and that unnecessary, outdated government obstacles to its development should be reassessed -- without compromising safety. We believe wind and solar are valuable parts of a larger energy portfolio, but should be deployed as the market dictates, not politicians. Carbon capture technology and geothermal generation are only a couple of many other promising energy sources, but again, the market will ultimately dictate their maturation. -Redirect research funds from fossil fuels into renewable energy and conservation. Build a nationwide smart electricity grid that can pool and store power from a diversity of renewable sources, giving the nation clean, democratically-controlled energy. America has witnessed enormous successes with some of its major public health initiatives, such as smoking cessation and water fluoridation. Yet, we have a long way to go to strengthen the public health system to provide adequate protection for our communities. Recent events like lead contamination in drinking water in Flint, Michigan, development of antibiotic resistant microbes, uncontrolled spread of Aedes mosquitos that spread tropical diseases like Zika, Dengue and Chikungunya, the growth of opiate addiction, and the continuing need to address HIV make clear the shortcomings of our public health system and the urgent need for improvements. But despite these threats, we are not investing in public health preparedness and emergency response the way we should to keep our families and communities safe. A 2015 study found that spending on public health had fallen more than nine percent since 2008. And uncertain long-term budgets leave our public health agencies dependent on emergency appropriations—meaning that when Congress fails to step up, communities are left without the resources they need, vaccines languish in development, and more people get sick. That is why as President, I will create a Public Health Rapid Response Fund, with consistent, year-to-year budgets, to better enable the Centers for Disease Control, the U.S. Department of Health and Human Services, the Federal Emergency Management Agency, state and local public health departments, hospital systems, and other federal agencies to quickly and aggressively respond to major public health crises and pandemics. I will also ensure that our government has strong leadership and is organized to better support and work with people on the ground facing public health challenges. In addition, we need to do more to boost our preparedness for biological threats and bioweapons; to support research for new diagnostic tests, therapeutic treatments, and vaccines for emerging diseases; to build capacity in public health departments; to train the next cadre of public health professionals and ensure that public health and environmental health practices are standard to the educations of medical students; and to provide resources for states and local governments to plan for complex, multi-faceted public health threats, like the impacts of climate change, and build more resilient communities. The implication of the question is that one must provide more resources to research and public health enterprises to make sure we stay ahead of potential health risks. In a time of limited resources, one must ensure that the nation is getting the greatest bang for the buck. We cannot simply throw money at these institutions and assume that the nation will be well served. What we ought to focus on is assessing where we need to be as a nation and then applying resources to those areas where we need the most work. Our efforts to support research and public health initiatives will have to be balanced with other demands for scarce resources. Working with Congress—the people’s representatives—my administration will work to establish national priorities and then we will work to make sure that adequate resources are assigned to achieve our goals. Most public health laws and programs are appropriately under the jurisdiction of the states, given that state and local governments are closer to the specific needs and challenges of their populations and regions. However, we have made clear our belief that, when a public health threat spreads beyond state lines or is clearly beyond the capacity of individual states to handle, there is a role for the federal government to step in, consistent with the federal responsibility to protect citizens from harm. That same guiding principle will dictate our response to such challenges as “superbugs”, possible epidemics, and other threats that extend across the entire nation. A Medicare For All single payer healthcare system would place health as the bottom line rather than industry profits, which is fundamental for improving public health. -Allow health data to be aggregated on a population-wide scale (much of it is currently held in secret as proprietary information by private companies like health insurers) so that trends and outbreaks could be monitored. -Permit assessment of the health needs of the entire population to be determined so that priorities could be set based on areas of need and funds could be given to institutions that would focus on solutions to priority areas. -Drive public policy to pursue a greater public health and preventative approach because having a healthier population would save money. -Cover every person living in the United States and would remove financial barriers to care. -This means that people with infectious diseases and other conditions that impact the population would have access to care when they need it. In 2020, estimates show there will be 1.4 million computer-science related jobs in the United States, but current projections show we only have 400,000 computer science graduates to fill them. Less than one in five high school students has ever taken a computer science course; only seven percent of our country’s high schools offer Advanced Placement courses in computer science; and less than 40 percent of high school graduates have taken a physics course. We must do more to provide our students and workforce with the skills they need to get hired and advance in their careers. Every student should have the opportunity to learn computer science by the time they graduate high school. I support the Obama Administration’s “Computer Science for All” initiative. And I will take steps to increase investment and scale instruction and lesson programs that help improve student achievement or increase college enrollment and completion in computer science fields. These steps will help prepare the diverse tech workforce of tomorrow. At the same time, we need to expand the pool of computer science teachers so that we train an additional 50,000 CS teachers in the next decade. Strong STEM programming in every public school is critical to our nation’s success and to reducing economic and social inequality. But today, less than 40 percent of high school graduates have taken a physics course, and the lack of STEM programming is even more pronounced in schools with high concentrations of students of color. We will support states, cities, and charters in developing innovative schools, like Denver’s School of Science and Technology and the Science Leadership Academy of Philadelphia, which have demonstrated success at engaging underrepresented populations in science and technology. Beyond high school, we need to do more support the Historically Black Colleges and Universities, Hispanic-Serving Institutions, and other Minority-Serving Institutions that train a large share of scientists and engineers of color. In addition to making it possible for every student to attend a four-year public college or university debt-free, we will create a special fund to support low-cost, modest-endowment HBCUs, HSIs, and MSIs. And we need to make sure that a four-year degree is not the only pathway to a middle-class life, including in technology and engineering careers, by supporting high-quality apprenticeship programs and training. There are a host of STEM programs already in existence. What the federal government should do is to make sure that educational opportunities are available for everyone. This means we must allow market influences to bring better, higher quality educational circumstances to more children. Our cities are a case-study in what not to do in that we do not have choice options for those who need access to better educational situations. Our top-down-one-size-fits-all approach to education is failing and is actually damaging educational outcomes for our children. If we are serious about changing the direction of our educational standing, we must change our educational models and allow the greatest possible number of options for educating our children. The management of our public education institutions should be done at the state and local level, not at the Department of Education. Until more choices are provided in our cities, those who tout their concern about educational outcomes cannot be taken seriously. By nationalizing education ever more, and increasing the test burden on our students, the Department of Education has aided in stagnating our children's’ education. We propose to return education policy to the states. When every state has the benefit of 50 (not counting DC and territories) laboratories for best practices, we can liberate all education, not just STEM to produce newer and better techniques. In today’s global and increasingly competitive economy, every state has every incentive to achieve high levels of educational performance. The imposition of federal standards is not only unnecessary, but counter-productive -- as valuable resources are diverted to redundant testing and red tape. Education is critically important to the future of our world. Here is how we will ensure that our students receive the best education possible: Guarantee tuition-free, world-class public education from pre-school through university. -Abolish student debt to free a generation of Americans from debt servitude and eliminate economic barriers to higher education. -Protect our public school systems from privatization. -Replace Common Core with curriculum developed by educators, not corporations, with input from parents and communities. -Restore arts, music and recreation to school curriculums. -Ensure racially inclusive, sensitive and relevant curriculums. -Recognize poverty as the key obstacle to learning. Ensure that kids come to school ready to learn: healthy, nourished, secure and free from violence. -Increase federal funding of public schools to equalize public school funding. We have consistently stated that environmental protection is a legitimate federal function. While water supply is traditionally a matter of state law, the protection of water supplies from those who do harm to those supplies and the populations who depend upon them is, at times, unavoidably a federal function. As Governors, we oversaw and participated in the regulatory relationship between state agencies and, for example, the Environmental Protection Agency. The mechanisms for appropriate protection are there; the failures we have seen, such as in Flint, Michigan, almost always result from individual wrongdoing and a lack of transparency. The idea that an entire population can, for years, be subjected to dangerous water supplies is, in our opinion, criminal -- and if local and state officials fail to carry out their responsibilities, there are times when the federal government may have no option but to step in. We need a national comprehensive water plan. Clean water is a human right. The Green New Deal's focus on infrastructure will help prevent future poisoned drinking water crises like that in Flint, Michigan. Rejuvenating the federal Superfund program will help clean up the polluted drinking water of millions of Americans. Meeting the climate challenge is too important to limit the tools available in this fight. Nuclear power – which accounts for more than 60 percent of our zero carbon power generation today – is one of those tools. I will work to ensure that the climate benefits of our existing nuclear power plants that are safe to operate are appropriately valued and increase investment in the research, development and deployment of advanced nuclear power. At the same time, we must continue to invest in the security of our nuclear materials at home, and improve coordination between federal, state, and local authorities. We must also seek to reduce the amount of nuclear material worldwide – working with other countries so minimize the use of weapons-grade material for civil nuclear programs. Nuclear power is a valuable source of energy and should be part of an all-the-above program for providing power for America long into the future. We can make nuclear power safer, and its outputs are extraordinary given the investment we should make. Nuclear power must be an integral part of energy independence for America. The Johnson Weld administration supports nuclear power precisely because it produces energy without greenhouse gases. Other nations have used nuclear power safely for generations. However, we recognize that a failure or security breach at a nuclear facility can have catastrophic results. The Johnson Weld administration would maintain strict nuclear safety standards, but also investigate newer and safer lower yield reactors like breeder reactors or thorium reactors, which produce less or even reduce nuclear waste. The challenge of nuclear waste storage is, of course, a serious one. However, we believe solutions exist, and can be implemented, if decisions can be based on science and honest risk assessment, rather than the politics of pitting one state or community against another. Nuclear fission technology is unsafe, expensive, and dirty from the mining of uranium to the disposal of spent fuel. As such we will end subsidies to the nuclear industry immediately and phase out nuclear power over a 10 year timeline. Existing nuclear waste will be handled with onsite dry cask storage of high-level waste into perpetuity. No transport of nuclear waste. America’s rural communities lie at the heart of what makes this country great. The affordability of our food, the independence and sophistication of our energy supply, and the strength of our small communities all depend on a vibrant rural America. As president, my administration will do more to support family farms by doubling funding for the Beginning Farmer and Rancher Development program; building strong and sustainable local food systems; and providing a focused safety net by continuing to make progress in targeting federal resources in commodity payment, crop insurance, and disaster assistance programs to support family operations. And we will spur investment to help power the rural economy, including by expanding access to equity capital for rural businesses by increasing the number of Rural Business Investment Companies, which make equity investments in small rural businesses—driving growth and creating jobs in rural areas, and supporting investments in clean energy. We must also acknowledge the other issues facing our rural communities. We need to expand health care access to all areas of our country, which includes broadening telemedicine. As president, I will explore ways in which we can expand tele-health reimbursement under Medicare and other programs, including federally qualified health centers and rural health clinics. The implication of your question is that there should be central control of American agriculture by the federal government. That is totally inappropriate. The agriculture industry should be free to seek its best solutions through the market system. That said, the production of food is a national security issue and should receive the attention of the federal government when it comes to providing security for our farmers and ranchers against losses to nature. We wouldn’t manage the US agricultural enterprise. Many, if not most, of the artificial distortions and imbalances that today exist in agriculture are the result of the fact that the federal government has been “managing” agricultural production since the 1940’s. We would eliminate agricultural subsidies, focusing instead on opening markets to U.S. goods so that farmers can produce -- or not -- for consumers, not the government. In terms of water quality and other environmental impacts of farming, our approach would be the same as with all facets of the economy: Protecting life and property from harm inflicted by the actions and practices of others. -Invest in clean air, water, food and soil for everyone. -Ban neonicotinoids and other pesticides that threaten the survival of bees, butterflies, and other pollinators. -Label GMOs, and put a moratorium on GMOs and pesticides until they are proven safe. -Redirect the Dept of Agriculture to meet the needs of small farmers to realize these goals. Many of the greatest - and hardest - challenges facing our country extend beyond our borders and can only be ultimately addressed through global solutions. Climate change is a case in point. And that is why as Secretary of State I elevated the role of climate policy in our diplomacy, appointing our country’s first Special Envoy for Climate Change, making climate policy a key part of our broader relationship with China and other key countries, and helping to create and launch the global Climate and Clean Air Coalition to reduce potent non-carbon climate pollution. As the world’s biggest and most powerful economy—and as the second-biggest emitter of greenhouse gases and the biggest historical emitter—the United States has a responsibility to lead the global response to the climate challenge. By making strong progress to reduce greenhouse gas emissions at home, President Obama was able to persuade and pressure other major emitters, including China and India, to step up. This dual process, where domestic policy changes helped spur international action, led tot the historic 195-nation Paris climate agreement, the first in our history where every country agreed to be part of the solution to climate change. The Paris agreement is critical, but it is not sufficient on its own. To keep global warming below the two degrees Celsius threshold and avoid the worst consequences of climate change, we need to cut emissions by at least 80 percent below 2005 levels by mid-century. To get there, we will need to continually work to improve upon the goals set in Paris, both in the United States and around the world. That’s why we must work to support more clean energy investment in emerging economies, help developing nations build resilience to the climate impacts that can’t be avoided, and continue to drive clean energy innovation here at home. And we will continue to work on a bilateral and multilateral basis with our partners, with key countries like China, and with the UNFCCC to protect our nation, our planet, and our children’s future. When dealing with the outbreak of diseases, we must be sure to act with caution, and rely on science to inform our decisions around trade, travel, and treatment. We are privileged to live in a country that individuals around the world aspire to visit and even immigrate to. It is within our national interest to think beyond our borders, and through our leadership, do everything we can to foster peace, health, and security around the world. In the United States, we need to break the cycle in which our own public health system is beholden to emergency appropriations for specific epidemics. We can do this by creating a dedicated Rapid Response Fund to help shore up our defenses, accelerate development of vaccines and new treatments, and respond more effectively to crises. We will also create a comprehensive global health strategy that moves beyond the disease-by-disease emergency model and seeks to build a robust, resilient global health system capable of quickly responding to and ending pandemics. Our best input to helping with global issues is to make sure that the United States is on the proper trajectory economically. For the past decade we have seen Gross Domestic Product growth that has not provided adequate resources to fix our infrastructure, recapitalize our military, invest in our education system or secure energy independence. We cannot take our place as world leader if we are not healthy enough to take care of ourselves. This means we must make sure that we achieve our goals in tax reform, trade reform, immigration reform and energy independence. A prosperous America is a much better partner in tackling global problems that affect this nation achieving its national objectives. We view these cross border issues as political problems, not just scientific problems. Nature will always present problems and opportunities that affect more than just one nation - which is why we need to engage with the world in the most non threatening way possible. Diplomacy and trade remain the best tools to tackle global and transnational issues. We need a foreign policy based on diplomacy, international law and respect for human rights. By strengthening international institutions, we lay the groundwork for greater cooperation on critical challenges such as climate change and pandemic diseases. It is essential that environmental, health, and energy regulations, among other areas, use the best available science to guide decision-making, and I am committed to making sure that continues. For instance, we will have science guide us as we make important investments around health care. We will continue to invest in research to further our understanding of disease, including ramping up our investment in Alzheimer’s and related dementias to $2 billion per year, continuing Vice President Biden’s Cancer Moonshot, and scaling up our broader investment in the National Institutes of Health’s budget to combat all of the diseases of our day. My opponent in this race has consistently discounted scientific findings, from his comments about vaccines to his claim that climate change is a hoax. These dangerous positions not only put Americans at risk, but can have long term impacts on our country’s growth and productivity. Science will ensure our country continues to progress, and will help our government use its resources to provide the best possible life for all Americans. This is about balance. We must balance a thriving economy with conserving our resources and protecting our citizens from threats. Science will inform our decisions on what regulations to keep, rescind or add. A vibrant, robust free market system will regulate the private sector. We believe in reducing federal regulations where possible. One way we would reduce regulation is to investigate and execute a national Right to Try for medicines and procedures aimed at chronic and terminal patients. Right to use experimental medicine when hope is deemed lost - in a purely voluntary basis should be allowed with proper oversight. The FDA has also overstepped when it has taken away therapies already proven valuable in certain patients. Granted, the FDA has a mandate to improve safety, but sudden changes of regulation also produce sudden changes in medication which create very risky situations in a clinical environment. We would prefer the FDA take a more holistic approach to relative risk. We would turn the FDA more towards informing the public of possible effects and away from regulation whereby important therapies are kept from or removed from the market. Patients and doctors must be kept informed of the relative risks involved, but patients and doctors are more aware of the stakes than regulators in Washington DC. We will rely on evidence-based approaches to regulation. Science advisors will play a central role in our administration. We will appoint scientific review panels and committees. -Redirect research funds from fossil fuels into renewable energy and conservation, as well as other technologies that promote the transition to a sustainable civilization. -Enact stronger environmental justice laws and measures to ensure that low-income and communities of color are not disproportionately impacted by harmful pollution and other negative environmental and health effects. Through vaccinations and vaccine science, I am committed to protecting our nation’s children, as well as populations worldwide, from infectious disease threats. Over the last two decades, we have made extraordinary global gains in reducing childhood illness and deaths through expanded use of vaccines and immunization. The number of childhood deaths from infections such as measles, whooping cough, diphtheria, and other diseases has dramatically declined in recent years, in large measure due to vaccination. We still have a long way to go, but globally – with the support of Gavi, UNICEF, the World Health Organization and other international organizations – I will work hard to press for the elimination of these deadly diseases. At the same time, the recent measles outbreaks in California’s Marin and Orange counties remind us that we cannot be complacent with our own nation’s vaccine policies. Measles, for example, remains a serious matter, killing almost 100,000 children annually around the world. As president, I will work closely with the talented physicians, nurses, and scientists in our US Public Health Service to speak out and educate parents about vaccines, focusing on their extraordinary track record in saving lives and pointing out the dangers of not vaccinating our children. Additionally, the recent outbreaks of Ebola, Zika, and MERS are a wake-up call that we must continue to innovate and develop disease countermeasures. Our scientists have made great progress. Yet there remains a troubling “innovation gap” between early phase vaccine discovery and industrial-scale production and vaccine delivery. We need to engage stakeholders across industry, non-profits, foundations, and government to bridge this gap and spur the development of a new generation of vaccines. My opponent in this race has consistently discounted scientific findings, from his comments about vaccines to his claim that climate change is a hoax. These dangerous positions not only put Americans at risk, but can have long term impacts on our country’s growth and productivity. Science will ensure our country continues to progress, and will help our government use its resources to provide the best possible life for all Americans. We should educate the public on the values of a comprehensive vaccination program. We have been successful with other public service programs and this seems to be of enough importance that we should put resources against this task. We believe the current legal infrastructure regarding vaccination is basically sound. There are currently no federal vaccination requirements, leaving those requirements largely to the states and school districts, consistent with the legal requirement that children attend school. However, if a national or regional outbreak of disease presents a threat to the general population, the Federal Government has the obligation to assist, and if necessary, impose science and medically - based requirements. We also need better and greater international engagement in dealing with international outbreaks. Viruses don’t yield to customs officials, and as we’ve seen with the recent Ebola crisis, a dangerous pandemic is often one international flight ticket away from our country. Vaccines are a critical part of our public health system. Vaccines prevent serious epidemics that would cause harm to many people and that is why they are a foundation to a strong public health system. Polio is an important example. So is H Flu - a bacteria that caused serious illness, including meningitis, in 20,000 children a year in the US, before development of the H flu vaccine. We need universal health care as a right to ensure that everyone has access to critical vaccines. Experts like Douglas Diekema, MD MPH say that the best way to overcome resistance to vaccination is to acknowledge and address concerns and build trust with hesitant parents. To reverse the problem of declining vaccination rates, we need to increase trust in our public health authorities and all scientific agencies. We can do that by removing corporate influence from our regulatory agencies to eliminate apparent conflicts of interest and show skeptics, in this case vaccine-resistant parents, that the motive behind vaccination is protecting their children’s health, not increasing profits for pharmaceutical companies. There is a political debate over America’s national approach to space exploration and use. What should AmericAs national goals be for space exploration and earth observation from space, and what steps would your administration take to achieve them? President Kennedy’s challenge in 1962 to go to the Moon within a decade electrified the nation, prompted a long period of American leadership in science and technology, and spurred a generation of innovators. As president, my administration will build on this progress, promote innovation, and advance inspirational, achievable, and affordable space initiatives. We must maintain our nation’s leadership in space with a program that balances science, technology and exploration; protect our security and the future of the planet through international collaboration and Earth systems monitoring; expand our robotic presence in the solar system; and maximize the impact of our R&D and other space program investments by promoting stronger coordination across federal agencies, and cooperation with industry. I will work with Congress to ensure that NASA has the leadership, funding and operational flexibility necessary to work in new ways with industry, placing emphasis on inventing and employing new technologies and efficiencies to get more bang for the buck while creating jobs and growing the American economy. As a young girl, I was so inspired by America’s leadership and accomplishments in space that I wrote to NASA about becoming an astronaut. As president, I will help inspire the next generation of young Americans and do what I can to ensure that we have the world’s most exciting and advanced space program, one that meets our highest human aspirations in a world where the sky is no longer the limit. Space exploration has given so much to America, including tremendous pride in our scientific and engineering prowess. A strong space program will encourage our children to seek STEM educational outcomes and will bring millions of jobs and trillions of dollars in investment to this country. The cascading effects of a vibrant space program are legion and can have a positive, constructive impact on the pride and direction of this country. Observation from space and exploring beyond our own space neighborhood should be priorities. We should also seek global partners, because space is not the sole property of America. All humankind benefits from reaching into the stars. Private corporations are increasingly interested in space travel, and the private sector has access to far more resources than the public, so we welcome private participation and even dominance in space exploration. Space exploration and science are international scientific endeavors requiring cooperation between many nations and peoples across borders. The peaceful exploration of space provides inspiration, education, and valuable scientific knowledge. Cooperation on space science and exploration is a promising path to peace. The US has an opportunity to continue leading in space science while ending space militarization. The US can lead international collaboration in space science and exploration without privatizing outer space or turning over space science and exploration efforts to corporations. Climate science, including the study of other planets in our solar system and beyond, is essential for understanding how to address climate change on Earth. Space science, exploration, and Earth observation provide tools, technologies, and science to help address not only climate change but flooding, drought, storms, famine, and other crises. By focusing US space efforts away from corporate and military interests, we can work to create peace here on Earth and in space, prevent the deployment of space weapons and instead focus on technologies to solve problems on Earth, not create new ones. -Funding STEM education and forgiving student debt of STEM scholars so they can focus on science and research. -Signing of the International Treaty for the Demilitarization of Space. -Ensure funding of pure research, for the benefit of all humanity and our planet. -Work closely with the United Nations Office for Outer Space Affairs (UNOOSA) on ensuring the peaceful exploration of space. Our country is in the grips of a quiet epidemic of drug and alcohol addiction. Twenty-three million Americans suffer from addiction, and 52 million Americans over the age of 12 have misused prescription drugs, including one in four teenagers. We must work with medical doctors and nurses across the country to treat this issue on the ground, from how patients are accessing these medications to how we are supporting them in recovery. To combat America’s deadly epidemic of drug and alcohol addiction, I have proposed a $10 billion initiative, and laid out a series of goals to help communities across the country. We need to expand the Substance Abuse Prevention and Treatment block grant and support new federal-state partnerships targeting prevention, treatment, recovery, and other areas of reform. We must empower communities to implement preventive programming for teenagers; help individuals suffering from addiction receive ongoing, comprehensive treatment; and provide first responders with naloxone, which prevents overdoses from becoming fatal. We must also work with those individuals prescribing controlled medications, and ensure they are getting the proper training in providing these prescriptions. Finally, we must prioritize rehabilitation and treatment over prison for low-level and non-violent offenders. Currently, 65 percent of inmates in our prison system meet medical criteria for substance use disorders and over half of inmates suffer from a mental health problem. Jail time should not be a substitute for treatment. Working together, we can combat this epidemic and ensure that people across the country are getting the care they need to live long and healthy lives. We first should stop the inflow of opioids into the United States. We can do that and we will in the Trump administration. As this is a national problem that costs America billions of dollars in productivity, we should apply the resources necessary to mitigate this problem. Dollars invested in taking care of this problem will be more than paid for with recovered lives and productivity that adds to the wealth and health of the nation. Opioid addiction is, indeed, a crisis, and one that can largely be attributed to the insanity of our drug laws. A major reason opioids are overprescribed is that patients don’t have access to other safer pain management alternatives - such as cannabis. It is absurd that thousands of people are dying each year from ‘legal’ opioids, while the Federal Government still treats medical cannabis as criminal. One of my first acts as President would be to direct the rescheduling of cannabis to allow more research and prescription. And in all due respect, with regard to doctors and pharmaceutical companies, the reality is that opioid prescription and subsequent abuse is a product of crony capitalism. In state after state, legislation to allow the prescription of medical cannabis and related products has been stymied largely by doctors, pharmacists and those who profit from the sale of legal opioids. We will end the "war on drugs” and redirect funds presently budgeted for the "war on drugs" toward expanded research, education, counseling and treatment. There is growing concern over the decline of fisheries and the overall health of the ocean: scientists estimate that 90% of stocks are fished at or beyond sustainable limits, habitats like coral reefs are threatened by ocean acidification, and large areas of ocean and coastlines are polluted. What efforts would your administration make to improve the health of our ocean and coastlines and increase the long-term sustainability of ocean fisheries? Our coastal and ocean resources play a critical role in providing nutritious food, good livelihoods, and critical storm protection for our nation. With about 40 percent of our nation’s population living in coastal counties, 1.8 million Americans making their livelihood from fisheries, and 3 billion people globally dependent on the oceans for a major portion of their protein, we cannot afford to ignore the health of our oceans. I will continue to recover and rebuild U.S. fish stocks by making sound management decisions based on the best available science. The Magnuson-Stevens Fishery Conservation and Management Act laid an important foundation for guiding how we manage our fisheries. My administration will work with fishers so that we continue to have the best managed fisheries in the world, and I will oppose efforts in Congress that seek to weaken Magnuson-Stevens or divorce it from our best science. These steps will protect the livelihoods of today’s fishers and ensure the health of these resources for generations to come. At the same time, we will act globally to address the fisheries crisis. Ninety percent of our seafood is imported, making the United States one of the top markets for fish from around the world. Yet, experts estimate that up to 32 percent of that seafood, worth up to $2 billion, comes from “pirate” fishing. This illegal, unreported, and unregulated (IUU) fishing also deprives fishing communities of up to $23 billion per year and puts honest, hardworking American fishers at a disadvantage in the marketplace. I will work with our industry, and other countries, to implement strong traceability standards for our seafood from bait to plate. In addition, we must continue to protect and restore the coastal habitat upon which healthy fisheries depend. My administration will work collaboratively across government, academia, and industry to build solutions that keep our waters clean, our coastal and ocean resources healthy, and our communities thriving. At the same time, climate change and carbon pollution is also taking a heavy toll on our oceans. From oyster farms in Washington State to coral reefs in Hawaii and rising seas in Virginia, warming, acidifying waters are damaging our resources and the people who depend on them. I will make sure America continues leading the global fight against climate change, support development of the best climate science, and instruct federal agencies to incorporate that knowledge into their policies and practices so that we are preparing for the future, not just responding to the past. My administration will work with Congress to establish priorities for our government and how we will allocate our limited fiscal resources. This approach will assure that the people’s voices will be heard on this topic and others. Much like climate change, we must be realistic about the limits of unilateral regulatory action in addressing problems that are largely international. While we can, and should, take reasonable steps to protect our coastlines and territorial waters, our larger efforts will have to be focused on international agreements and allowing consumer-driven market forces to reduce over-harvesting and ocean pollution. Ultimately, the health of our oceans and fisheries will hinge upon economic forces and global agreements. Our climate action and environmental protection plans will work to conserve fish stocks and coral reefs. Rapid response to climate change is the centerpiece of the Stein administration. From plastic trash to ocean acidification, we will move smartly to address ocean health with or without Congress. As president, I will fight to make sure the United States continues to be a place where individuals from around the world can come to pursue their dreams and use their talents to help our country grow and innovate. This includes the talented scientists and engineers who choose to pursue their education at American universities. Our immigration system is plagued by visa backlogs and other barriers that prevent high-skilled workers and entrepreneurs from coming to, staying in, and creating jobs in America. Far too often, we require talented people from other countries who are trained in United States universities to return home, rather than stay in here and continue to contribute to our economy. As part of a comprehensive immigration solution, we should “staple” a green card to STEM masters and PhDs from accredited institutions—enabling international students who complete degrees in these fields to move to green card status. I will also support “start-up” visas that allow top entrepreneurs from abroad to come to the United States, build companies in technology-oriented globally traded sectors, and create more jobs and opportunities for American workers. In my first 100 days in office, I will put a bill before Congress introducing comprehensive immigration reform. This bill will secure our borders, focus our enforcement resources on violent criminals, keep families together, and include reforms to retain and attract talented, skilled scientists, engineers, and entrepreneurs. In addition, there are an estimated nine million lawful permanent residents in our country who are eligible to become citizens. We need to promote the benefits of American citizenship, and eliminate the cost barriers to naturalization. I will also work to ensure that individuals who immigrate to our country have the support they need to integrate into their communities. I will create a National Office for Immigrant Affairs, and will support affordable integration services through new grant funding. Immigration has been one of the cornerstones of my campaign. The issues brought up in your question are exactly what we should be addressing in immigration reform. If we allow individuals in this country legally to get their educations, we should let them stay if they want to contribute to our economy. It makes no sense to kick them out of the country right after they achieve such extraordinary goals. As for the H1-B program, we cannot allow companies to abuse this system. When we have American citizens and those living in the United States legally being pushed out of high paying jobs so that they can be replaced with “cheaper” labor, something is wrong. The H1-B system should be employed only when jobs cannot be filled with qualified Americans and legal residents. We believe immigration is key to American strength. American culture evolves by getting new ideas from without as well as within - we would do everything in our power to loosen limits on immigration. While some in the technical fields believe that a robust H1-B visa program depresses STEM wages, we believe that it increases the market, increases innovation, and creates wealth. Our immigration system is a relic of a protectionist era that is now far removed from the global economy. Our approach will be simple, if not universally popular. Remove caps, expedite processes and otherwise allow immigration by those with all levels and types of skills to be determined by the employment marketplace -- not a bureaucrat’s determination of “how many scientists we need”. We support the H1-B Visa program. However, we must look at it in the context of overall immigration policy, trade, economic and military policies. In the big picture, we are concerned about a global economy in which people have to leave their home countries to find decent jobs. We support more just international development and demilitarization, so that people don’t have to go half way around the world to find just employment. The scientists I know are women and men of great integrity. We all have something to learn from the scientific ideals of respectful argument, based on evidence, to reach an eventual consensus. The work done by scientists at federal agencies is critical for shaping our policies on health, environment, food and drug safety, national security, and many other issues. The scientific and technological information and processes relied upon in policymaking must be of the highest integrity to engender public trust in government. As president, I will support efforts to ensure a culture of scientific integrity in each of our science-based agencies, strengthen the credibility of government research, and facilitate open communication and public engagement. I am deeply concerned by the recent increase in partisan political efforts to interfere in science. I strongly support the free exchange of ideas and data, peer review, and public access to research results and other scientific information, all of which can help protect science-based policy decisions from undue influence from special interests. Finally, I believe federal policies can do even more to reinforce public trust in the integrity of science throughout the research enterprise. Though very rare, deliberate fraud in how scientists use public research dollars must be exposed, punished, and prevented. We can and will create further incentives to encourage scientists not only to maintain accountability and accuracy checks, but also to share data, code, and research results for reuse and support replication by others. Similarly, self-serving scientific claims and blatant conflicts of interest must be exposed, punished, and prevented, so that the public can trust scientific conclusions. Finally, we can and should provide further incentives to prevent foreseeable harm to human subjects and robustly protect personal privacy. Science is not democracy - results do not conform to popular or accepted opinion. However, we must respect the diversity of thought. The First Amendment does not stop at the doors of government, universities and research centers. When government decides to fund A vs B, it has unavoidably put itself in the business of picking winners. That is dangerous. The key word in the question asked here is transparency. Particularly in this age of almost limitless information and instant “peer review”, real transparency will resolve many of the distortions that exist and create a scientific check on political interference. Science has too often been encouraged to oversell its results in the political theater. In order to have a fully informative exchange between politics and science, investigators and reporters should be as transparent as possible with respect to the degrees of uncertainty findings have. It is a major concern that many Americans don’t trust our scientific and regulatory agencies, and extremely unfortunate that there are valid reasons for this declining trust that must be addressed. The CDC actually accepts huge amounts of money from big pharmaceutical corporations, as an investigation by the British Medical Journal revealed. So many scientists, doctors and watchdog groups have flagged these clear conflicts of interest in the FDA, CDC and other federal agencies. As President I would stop the revolving door and clean up these agencies so that the American people can trust that they’re putting people over profits, and science over lobbying interests.